Shabangu began exploring urban living and human nature through monotypes at the David Krut Workshop (DKW) in 2010. 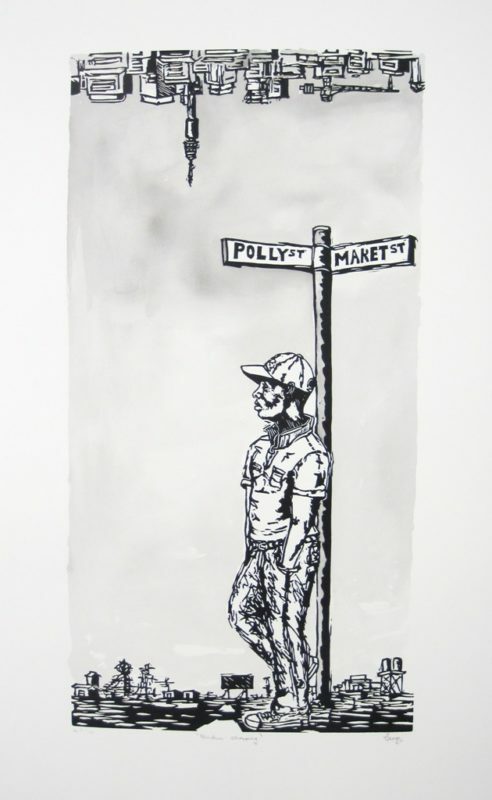 In 2011, he moved on to making linocuts at DKW Arts on Main and Jan Smuts Avenue as artist-in-residence in preparation of his solo first exhibition at David Krut Projects, Naked Pressure. 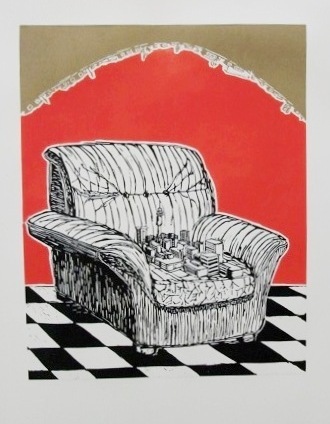 The artist continued to print at DKW creating linocuts and monotypes inspired by issues that influence everyday life for those living in South Africa. The artworks themselves become a way for him to understand his journey and himself within the chaos and infinite prospects of the Johannesburg cityscape. It is in this context that the city of Johannesburg, its people, the media, protest action, men in robes and judges are become underlying sources of imagery in the artist’s work. The archive showcase is up at our 142 Jan Smuts Avenue, Parkwood. For more information, you may contact us 0n 011 447 0627.